Occasions:Daily Casual, Formal Party, Dating, Dancing, Club Wear, Night, Going out, Cocktail party, Banquet, Wedding, Ball, Prom, Special Occasion and So On. 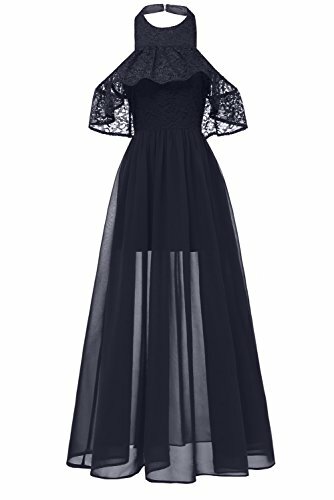 Simple short lace dress is most suitable to be used as prom dress, cocktail dress, bridesmaid dress in wedding day, homecoming graduation dress, evening dress, party dress or even casual daily wear in hot summer. Please refer to our size details in Description Part before purchasing or refer to the third picture to choose your correct size. Floral lace pattern, slim waist with bowknot, sleeveless design and slim A-line waist highlight your body curves. Hand wash in cold water is recommended! Please do remember to choose Milano Bride store. We can not guarantee the quality from other sellers in this listing. For more dreamy dresses, please click in MILANO BRIDE above the Title.